Copper has several functions and health benefits. Among its many functions, copper aids in the formation of bone, hemoglobin, and red blood cells, and works in balance with zinc and vitamin C to form elastin. Copper is found in all the tissues of the body. It assists in the formation of haemoglobin and red blood cells by aiding iron absorption. Copper also assists in the conversion of an amino acid to a dark pigment which colours the hair and skin. A large amount of molybdenum, zinc or sulphur in the diet is antagonistic to copper - having an adverse effect on its absorption. Copper is found in many foods. Oysters, shellfish and legumes are particularly rich sources. 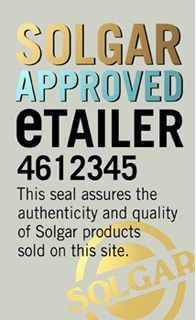 Solgar copper supplements uses chelated copper which is known for its superior absorption.